A few years ago, when I had first moved to San Francisco, I was almost completely broke since I'd spent most of my savings on a deposit for an apartment in a sketchy neighborhood. Although I'd just moved into one of the world's biggest culinary destinations, I was scared to shell out more than $10 per meal — as a result, I lived off of the free weekly newspaper’s annual cheap eats archive and other recommendations. 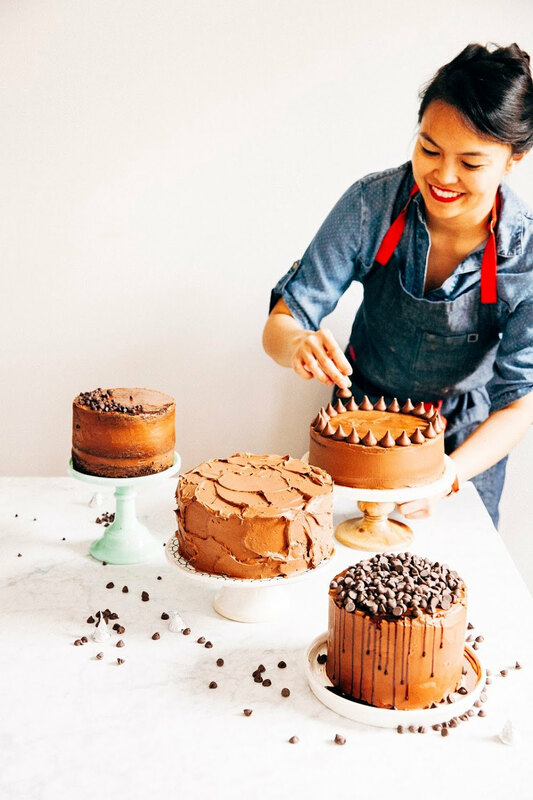 One of my favorite features of the column that I read was their annual “92 Best Dishes in San Francisco” list. Every week, the column would feature a dish or drink from a different restaurant, claiming it to be one of the best dishes in the whole city. Admittedly, most of the dishes were pretty well-known amongst city residents (Yes, yes — a bahn mi from Saigon Sandwich? No secret there! ), but every so often, there’d be a hidden gem featured that would really get me excited. One hidden gem that I discovered through the list was Star Stream, a quaint coffee shop tucked in an odd intersection of warehouses and one of the rare strip malls of San Francisco. Inside, you could find a variety of fairly innovative pastries — chocolate chip cookies with popcorn, sea salt, and toffee, for instance. And although the baked goods looked delicious, the article urged me to try Star Stream’s specialty: the Liège waffle. And it was there that I discovered the meaning of true love, by way of an innocent breakfast pastry. What’s a Liège waffle? In Belgium, there are two types of waffles: the Brussels and the Liège waffle. 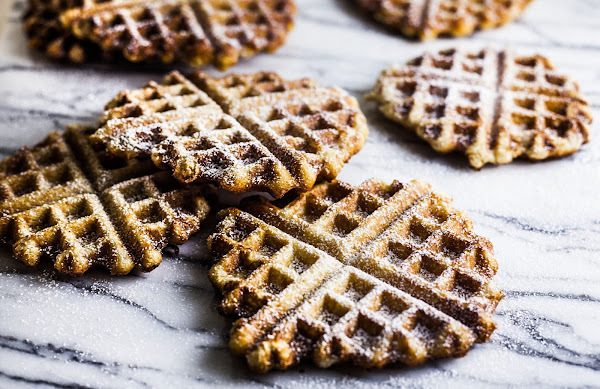 The Brussels waffle is more commonly dubbed as a “Belgian waffle” and is made from a cake batter that uses baking powder or soda as its leavener. And despite the crispy exterior that comes from being pressed in the waffle iron, a Brussels/Belgian waffle ultimately has a soft, almost cakey texture. Yeast in a waffle? Sounds weird, right? 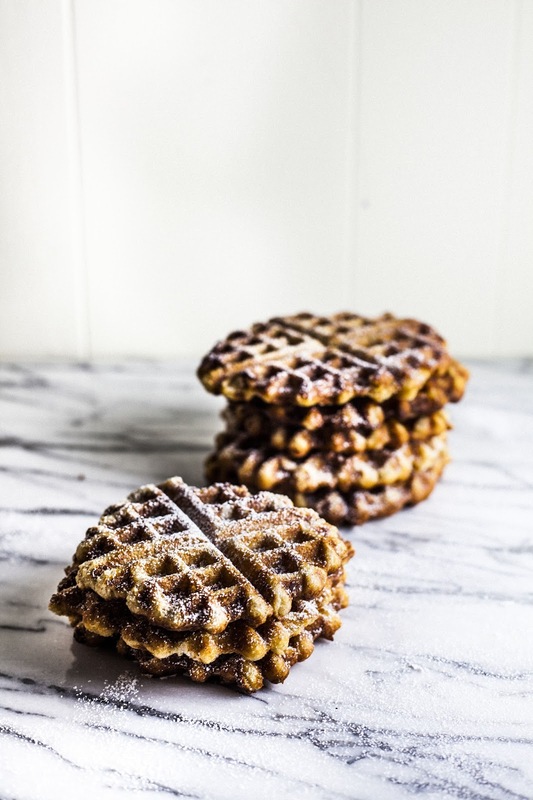 But nope — the yeast gives the waffles a buttery, wonderful, “fresh baked bread” flavor as well as a dense, chewy texture that is unmatched by anything else. And good lord, don’t even get me started about the pearl sugar! Think: giant, coarse lumps of granulated sugar that are about the the size of chocolate chips. If cooked when buried within the batter, the pearl sugar melts, turning into a delicious, molten flavor that literally melts in your mouth. 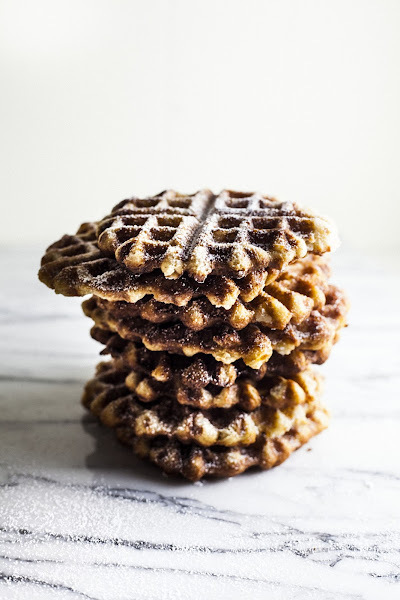 BUT if the pearl sugar happens to be on the outside of the waffle batter, it turns crunchy and caramelizes, turning your waffle bite into a combination of buttery brioche and crème brulée. I was incredibly heartbroken when I saw on Yelp that Star Stream had gone out of business; those waffles were part of what kept me going in San Francisco, when I was a young/scared/lonely recent college graduate. After trying out several recipes, however, I’m happy to say that I’ve found a pretty close match thanks to one of my favorite cooking blogs, Zen Can Cook. Indeed, this recipe pays homage to those waffles since, to quote the article that introduced me to the Liège waffles in the first place, these waffles are not really waffles. No, no, no — instead, they are a celebration of sugar. Plan ahead for this one — these waffles need a proofing time (that is, the time when your dough rises) of about an hour and a half to two hours, depending on how warm your kitchen is. The temperature of your milk (in which you eventually mix the yeast into) is important here — anything cooler than the temperature I listed below, the yeast won't activate properly, and anything warmer than the temperature kills the yeast. The important thing is to treat your yeast like it's a living object — if the temperature of the milk is too uncomfortable too touch, then it's probably too warm. You're aiming for a nice, slightly warmed bubble bath temperature. Belgian pearl sugar is available online, but is kinda pricey. If you're feeling resourceful, you can repurpose some crushed sugar cubes, but it won't be the same. This recipe makes a LOT of waffles, depending on how big you like your waffles. If you have any extras, you can always freeze them and then warm them up in the toaster. Instant breakfast! In a small bowl, combine 2 1/4 teaspoons instant yeast, 1/3 cup lukewarm whole milk (see baker's notes), and 1 1/2 tablespoons granulated sugar. Gently whisk together and let sit for 20 minutes, or until bubbles appear on the surface. 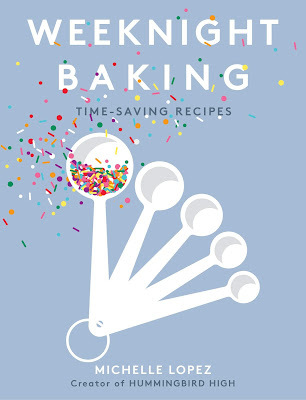 In the bowl of a freestanding electric mixer, whisk together 2 cups all-purpose flour and 1/4 teaspoon kosher salt. Use a regular ol' drinking glass and twist it around the center of the flour to create a well. Pour the bubbly yeast mixture (from the 1st step) into the center of the well and fit a paddle attachment to the mixer; on low speed, mix until combined. Turn the mixer to medium speed and add 3 eggs, one at a time, making sure to only add the next egg after the first one has been thoroughly incorporated into the batter. Once all the eggs have been added, add 1 cup melted unsalted butter, 1 teaspoon vanilla extract, and 3/4 teaspoon ground cinnamon. Mix only until the ingredients are combined — the dough will be quite thick and sticky. Cover the bowl with plastic wrap and let the dough rest in a warm place until it doubles in volume, around 2 hours (less if it's warm). Once the dough has doubled, use a rubber spatula to mix in 1 cup Belgian pearl sugar, and let the dough rest for another 15 minutes. 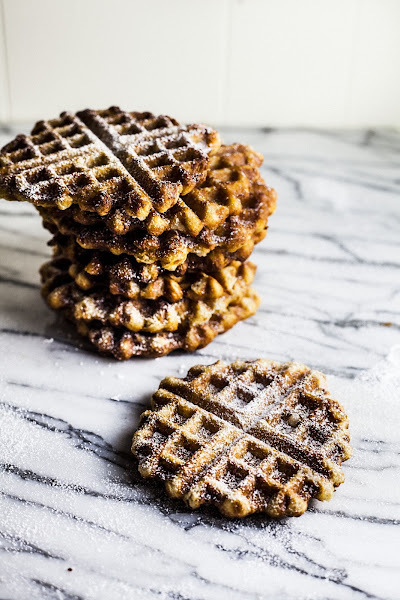 Once the dough is ready, heat the waffle iron to medium. Pinch 2-inch balls of dough and flatten them slightly. Place the balls of dough in the waffle iron and cook until golden brown. Sprinkle with powdered sugar to serve, and eat immediately. These look like the best breakfast ever! I wonder if they'd be good if you cool them and dip them in chocolate for dessert :) yum. Your description has my mouth watering! I've never had a Liege waffle, but I'm pinning this recipe to try. Thanks for sharing! Oh dear those look amazing. I'm making waffles tomorrow for breakfast... but, lord knows I don't have the patience to wait for two hours to have them rise properly. That one is going to have to wait for a special occasion... or maybe breakfast as dinner! These look absolutely amazing. I love waffles...I need to make these on a Saturday morning sometime as a special treat. would the rock sugar (rock salt size granules) from Wilton's work? It is probably the same cost, but it can be found at JoAnns. Rock sugar from Wilton would work, but it won't be as authentic as the liege waffles. Instead, I recommend using sugar cubes, giving them a quick grind in a food processor (or, if you don't have a food processor, stick them in a zip lock bag and use a rolling pin to give them a few good whacks) to break them up. Hi! I made these today because I saw the recipe both in your blog and from Zen Can Cook, but mine came out quite runny as soon as I added the melted butter. It combined fine but I felt maybe there was too much butter? As it separates a little. Did you really melt all of the 1 cup butter in the microwave? Or did you just let the cube/block of butter in its form war, to room temperature without microwaving it? The end result was good! But my batter didnt look anything like the pictures from Zen Can Cook. I made it twice since I wanted to recheck if I maybe just measured one item wrong, but after making sure everything was okay, my 2nd batter still looked the same. Pls help :( Thank you! !